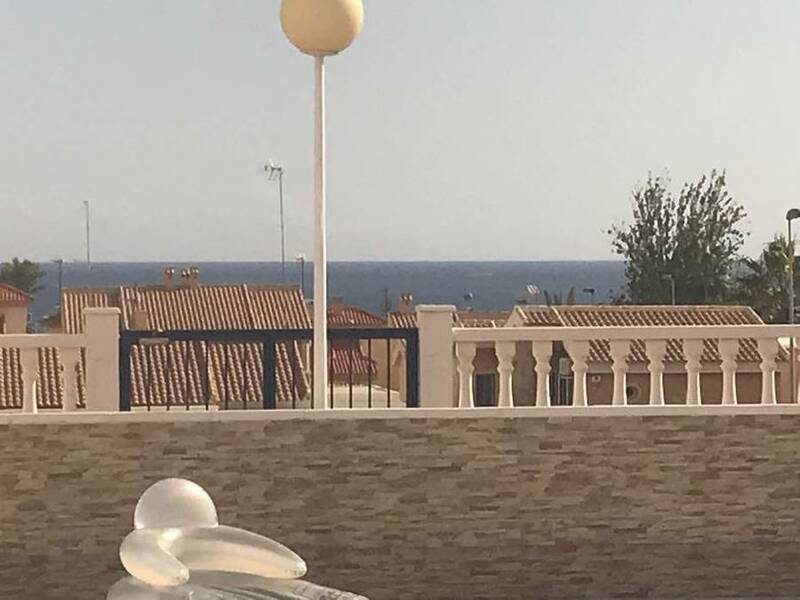 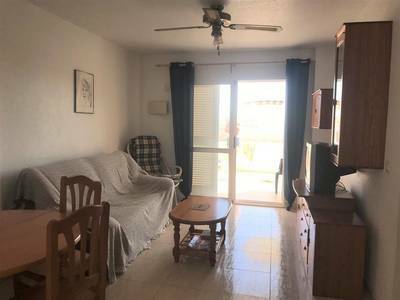 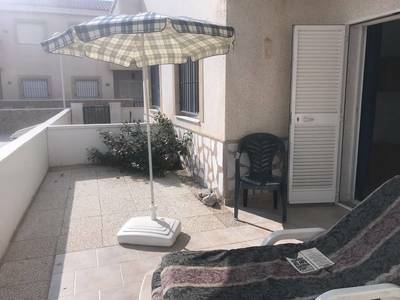 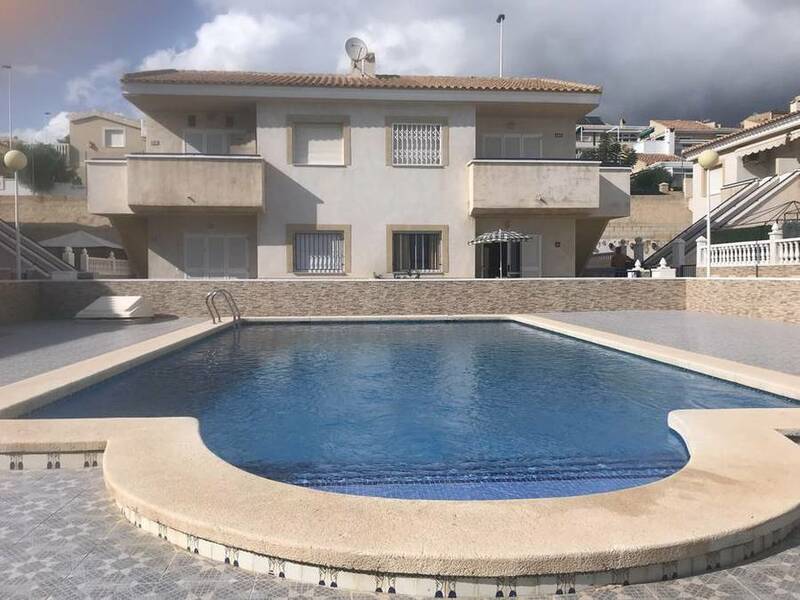 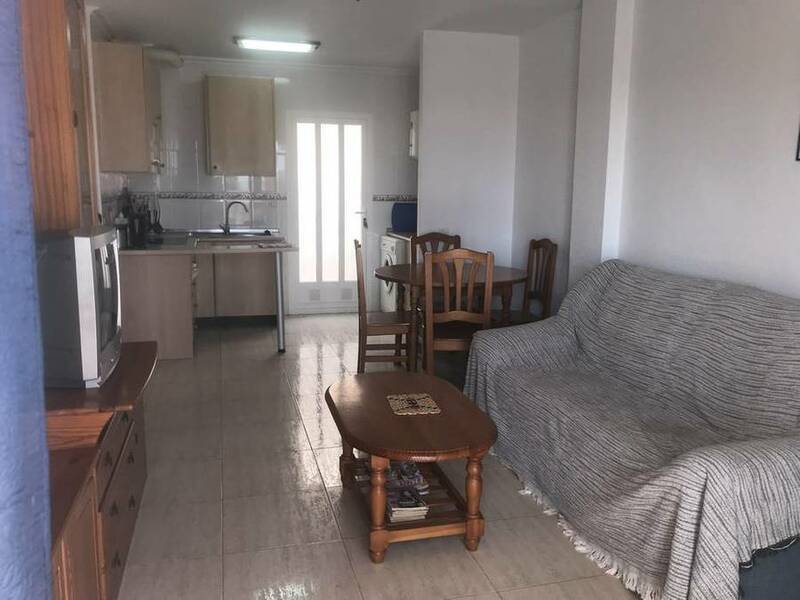 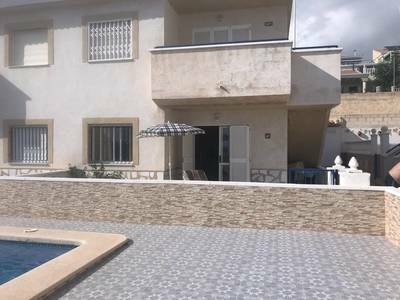 This Terrazas del Mar ground floor apartment is fully furnished including kitchen white goods and has 2 bedrooms and 1 bathroom. There is a communal pool, parking and sea views. 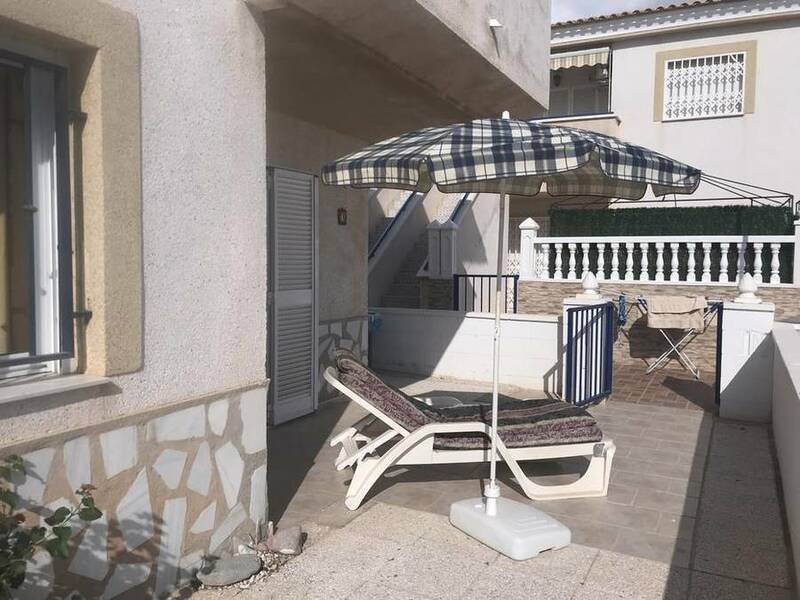 It is a south facing corner apartment and the large front terrace wraps around the side of the property. 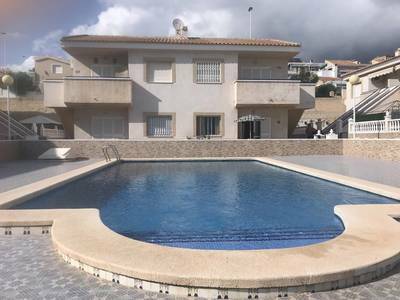 It faces the large communal pool and has sea views. Inside it is open plan design with lounge, dining area and kitchen. There is a ceiling fan in the lounge area. 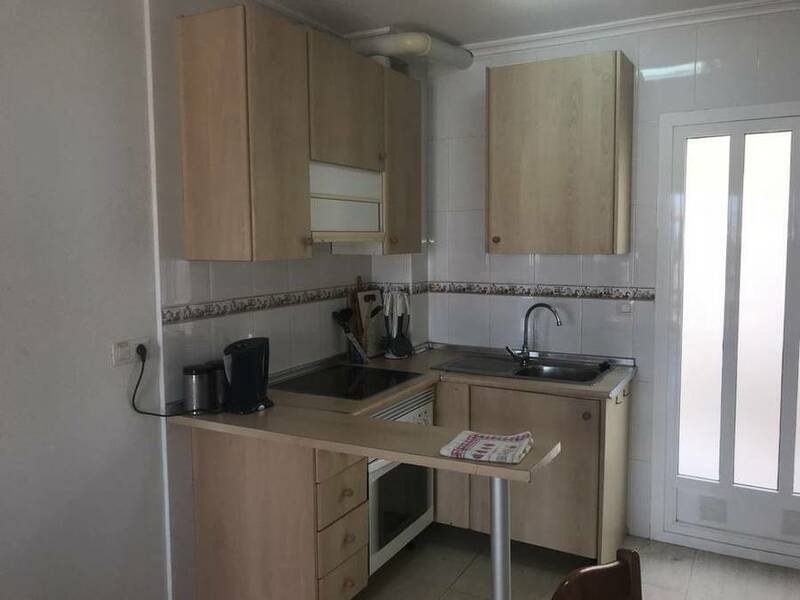 The kitchen has upper and lower pine colour units and work tops and has a breakfast bar. 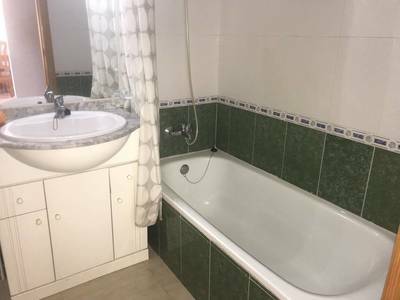 This room also has pool and sea views. 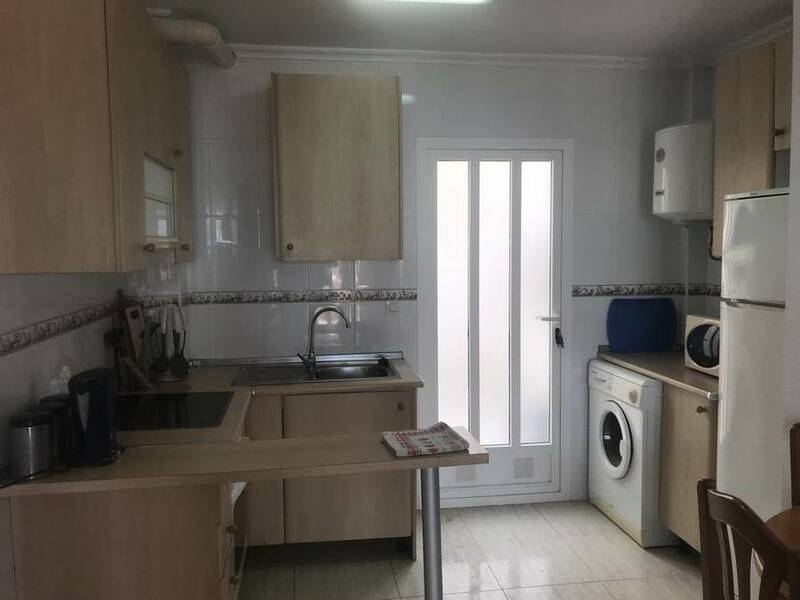 Kitchen door opens to a rear walled patio area which is half tiled and half shingle. 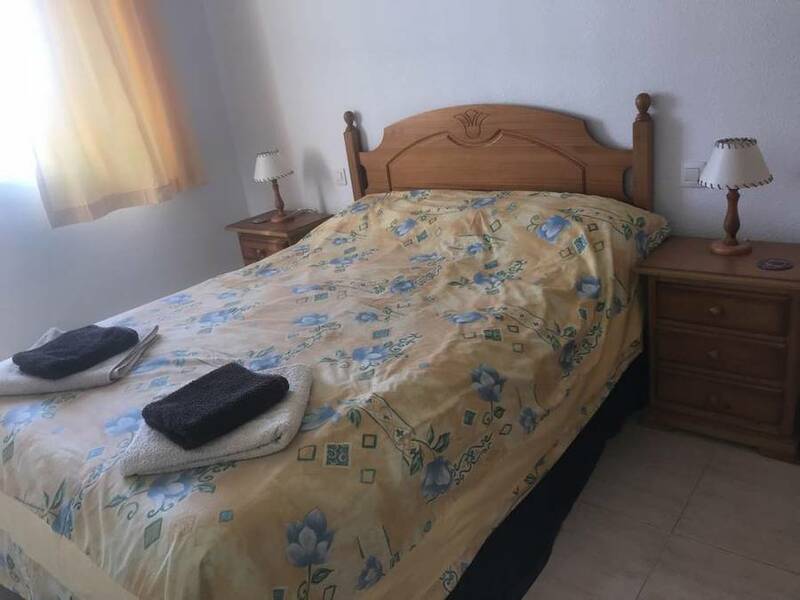 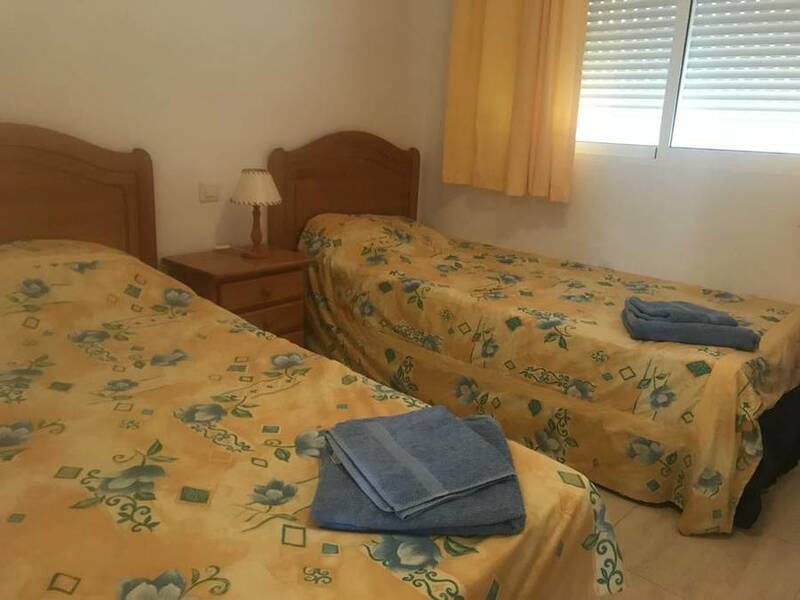 Both bedrooms are doubles and have ceiling fans and fitted wardrobes with the front bedroom having sea views. In between the bedrooms is the bathroom with full bath and shower over, W/C, bidet, wash basin with marble surround, vanity cupboard below and mirror above. Just outside the gates of Las Terrazas del Mar you have an allocated parking space.